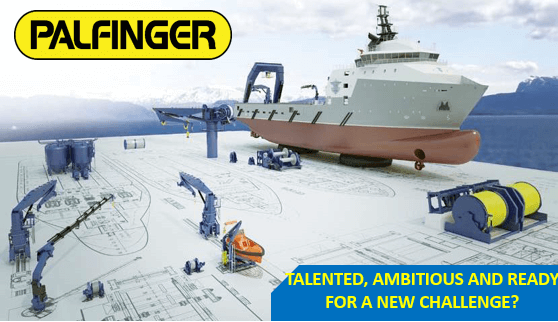 PALFINGER MARINE is the global leading manufacturer of highly reliable, innovative and customized deck equipment and handling solutions for the maritime industries. The product portfolio includes cranes, lifesaving equipment, winches and handling equipment. A worldwide service network including supply of spare parts ensures fast and professional onsite support. PALFINGER MARINE operates in all major maritime segments, including Offshore, Marine, Cruise, Navy and Coast Guard and Wind. The company has 33 fully owned sales and service hubs in 19 countries in Europe, Asia, the Americas, the Middle East and Africa. PALFINGER MARINE is part of the publicly registered PALFINGER Group, one of the leading international manufacturer of hydraulic lifting systems in the area commercial vehicles. V prípade otázok ohľadom hore uvedenej pozície nás neváhajte kontaktovať. Veríme, že sa rozhodnete pre PALFINGER Tail Lifts s.r.o. a tešíme sa na Vašu prihlášku. Využite náš náborový systém a pošlite nám svoj štruktúrovaný životopis v slovenskom a anglickom jazyku.